When it comes to selecting the right kind of poly packaging for your business there are many important factors to consider. Everyone knows a good bag is lightweight, water and temperature resistant, and resilient when push comes to shove, but have you ever thought about the color of your bag? If color is your theme, then your plastic packaging should match the part. Encore Poly offers a wide variety of bags available in every color of the the rainbow. Whether you’re looking for economical poly bags, plastic stretch film, or plastic sheeting, Encore Poly has the solution to fit the bill. All of our bags are available in multiple sizes, so that customers can carry all of their purchases home in style. Have you ever had trouble keeping different types of products sorted out? 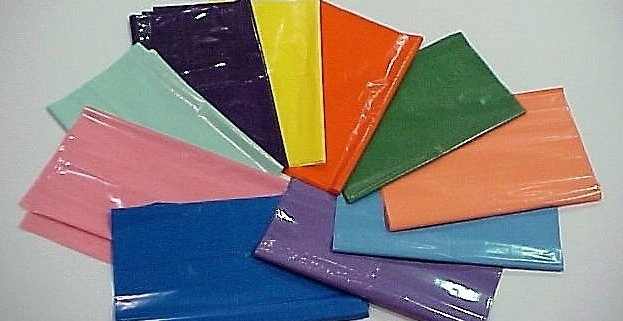 Our colored poly bags are perfect for labeling which goods are which and for color coding as well. Our colored, resealable plastic bags feature a high quality zipper on top that protects the contents. Pulling the bag open and pinching it shut is also made easy with our innovative top lining design. With over a 100 different size and color options, there really isn’t any reason to keep your bland old poly bag anymore. We hope you’ll find the perfect colored plastic bag to suit your needs. Our poly bags are great for everything, from products to boxes and more! Encore Poly is a leader in polyethylene bags, plastic sheeting and stretch film for a variety of industries and uses. We provide direct from manufacturer service and prices for stock as well as custom products. Our goal is to continue to work diligently to accommodate your needs. Contact us with any inquiries you may have and we will produce a solution tailored to your specific requirements. Plastics come in many different types and variations. At Encore Poly, we specifically specialize in Polyethylene, or Poly for short. This type of plastic is easily the most versatile, as it comes in different types. Our Low-Density Polyethylene or LDPE is used to make common household items you use everyday. Without it, resealable bags, trash bags, and other items used to preserve or dispose of our food wouldn’t exist. 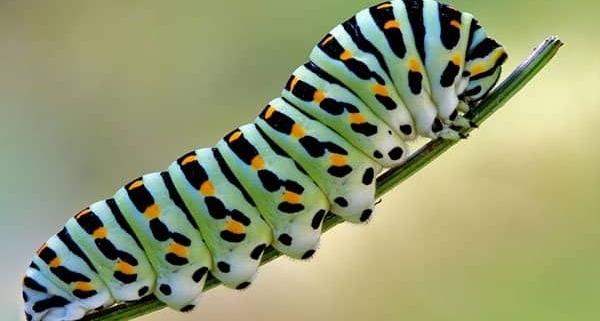 A recent discovery and research found that caterpillars, commercially raised for fishing bait, are capable of biodegrading polyethylene. This is the toughest and most used plastic in the form of supermarket shopping bags. Encore Poly has been supplying a leading food manufacturer with three different size poly carton liner bags for over 12 years. After performing many tests, it was determined that we could convert two of the bags to our proprietary polyethylene blend and save this customer a considerable amount of money. There are many types of resin. For the plastic packaging industry, polyethylene resin is commonly used. It is a type of thermoplastic used to manufacture bags, tubing, sheeting, stretch and shrink films. It is also a flexible composite. Polyethylene, referred to as PE, is usually a mixture of polymers and ethylene. It has mechanical, thermal, chemical, electrical, and optical properties. It absorbs almost no water, burns slowly and cannot be imprinted without pretreatment. PE can become brittle when exposed to sunlight. To avoid this a UV stabilizer must be added. https://encorepoly.com/wp-content/uploads/2016/07/plastic-resin.jpg 667 1000 fdawli https://encorepoly.com/wp-content/uploads/2016/06/ep-logo-web-300x135.png fdawli2017-02-24 10:20:472018-03-27 12:43:03What is polyethylene resin? Encore Poly is a direct from manufacturer supplier of in-line and out-of-line flexible polyethylene packaging.